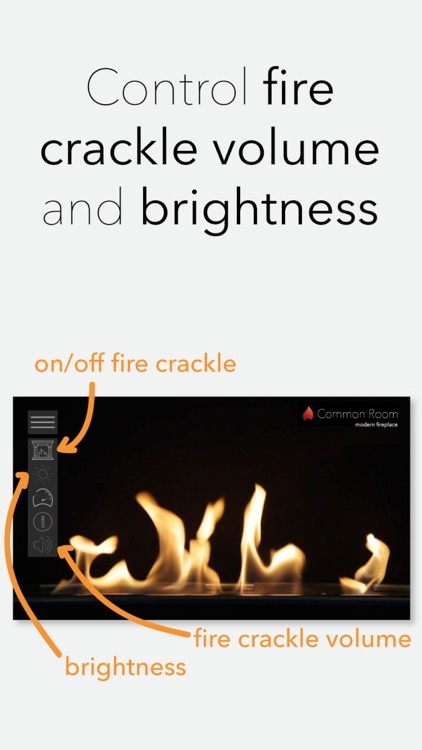 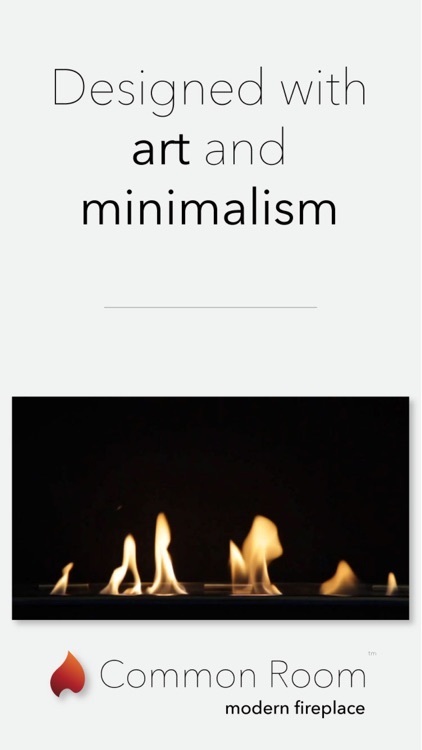 Common Room virtual fireplace has been designed with art and minimalism in mind. 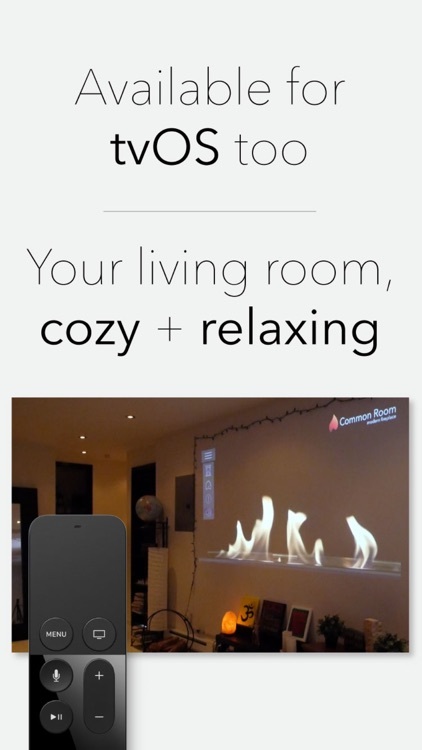 The app works alongside your favorite music apps making it a unique option for your living room or just about anywhere a cozy vibe is needed. 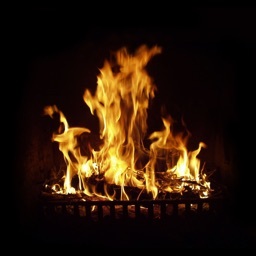 Make that date night an unforgettable experience or fall asleep to the fire crackle alongside relaxing classical music. 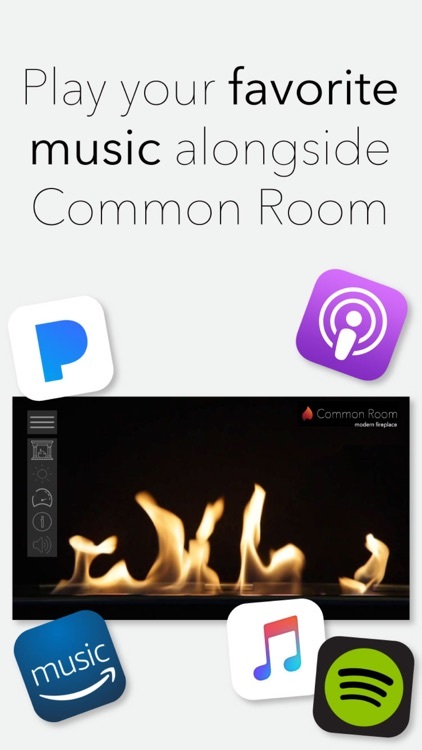 You can now even have a "fireside" chat with an audience of listeners without the inconvenience of a real fireplace (no clean up needed!). 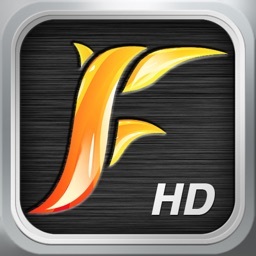 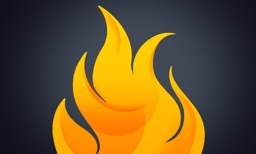 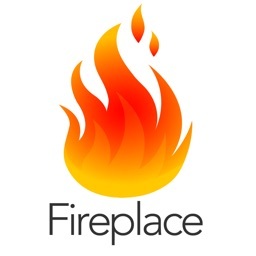 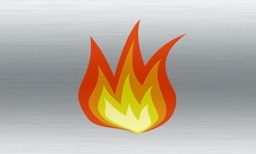 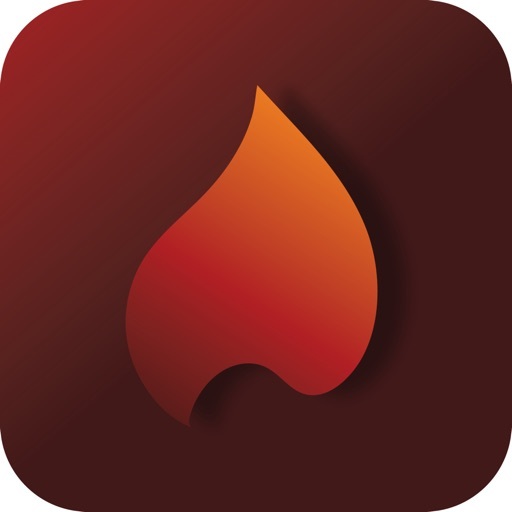 Download the most elegant and relaxing fireplace app today in the App Store.